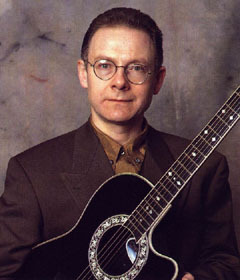 This week’s quote has been attributed to English guitarist, composer and record producer Robert Fripp. It’s timely for me because my current role has recently called for me to lead several large(ish) scale communications efforts. And I’m finding that – when it comes to communications – intent and perception are often not the same thing. An effective communications strategy requires one to see the world from the point of view of one’s audience. It isn’t enough to simply share information. Also critical are considerations around how that information is going to be received, how it can be interpreted, and how people may respond to it given their unique situations. Often times, actions that may seem transparent to some may seem less so to others; answers that at face value appear direct in the eyes of one group may seem shifty to another; and messages intended to instill confidence can often create a sense of uncertainty. …The above insights aren’t just applicable to mass communications, either. Any time a message is being disseminated to a person or group, the capacity for a mixed (or lost) signal exists. Thoughtfulness and empathy are the best tools I’m aware of to mitigate the risks that a message is lost in translation, but I am sure there are others. With that said, as we get started this week I would encourage you to work to know your audience. Understand their point of view(s), and contextualize your message with said vantage point(s) in mind. This may at times feel like more art than science, but as with anything we can approve the efficacy of our approach with practice.